There has been widespread coverage today of a new enzyme created by scientists from bacteria that had naturally evolved to eat PET plastic bottles. The original bacteria were discovered in soil around a recycling plant and their DNA has been ‘tweaked’ to make them better at digesting plastics according to reports in the Sun, Daily Mail, Telegraph, Guardian, Independent, CNN and Science Alert. Last night (16 April) BBC1’s The One Show hosted a plastics special programme and constructed a lake of plastic at Broadcasting House, Joe.co.uk has pictures of this spectacle. 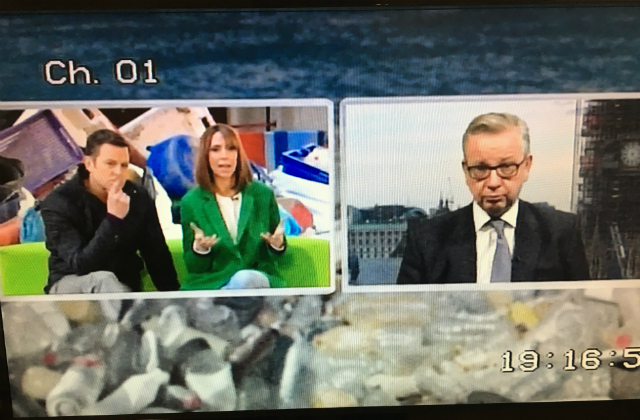 The Environment Secretary joined Alex Jones and Matt Baker, with guest Chris Packham, for the half-hour show and discussed a wide range of issues including a deposit return scheme and he highlighted the Government’s ban on microbeads and the 5p plastic carrier bag tax as examples of action already taken to change consumer behaviour and reduce plastic in our natural environment. The particular type of oxo-biodegradable plastic that Chris [Packham] talks about, I’ve been talking to companies that have an interest in this area and I have got the Government’s Chief Scientific Adviser to look at the science behind it. It’s a potentially exciting development. But we need to be certain, actually, that if we’re going to put public money behind some of these schemes that we’re absolutely confident that we deliver the results that the inventors and the entrepreneurs behind them are so anxious to deliver. You can watch the full One Show from last night online. This morning, Radio 4’s Today programme reported that fishermen on Under 10m boats fear their industry is dying due to fishing quota being allocated to larger vessels. We recognise the importance of the Under 10m fishing fleet, which is why we have been working to support these smaller boats. Since 2012, quota that has not been fished, leased, gifted or swapped by producer organisations has been realigned to deliver a 13% increase in quota for the Under 10m fleet. This sector will also be allocated 1,250 tonnes of quota uplift in 2018, equating to an additional £3m for the industry. It is also worth noting that a significant proportion of catch brought in by the under 10m boats is made up of non-quota species, such as lobster and crabs. The Today programme also reported that quota was being allocated to British boats with foreign owners. The Government has been clear that fishing communities and our wider economy should benefit as much as possible from those fishing the UK’s quota. The Under 10m fleet plays an important part in our fishing industry and our coastal communities. That is why we top slice some of the uplift quota allocation from the discard ban and direct it towards the smaller inshore fishers. 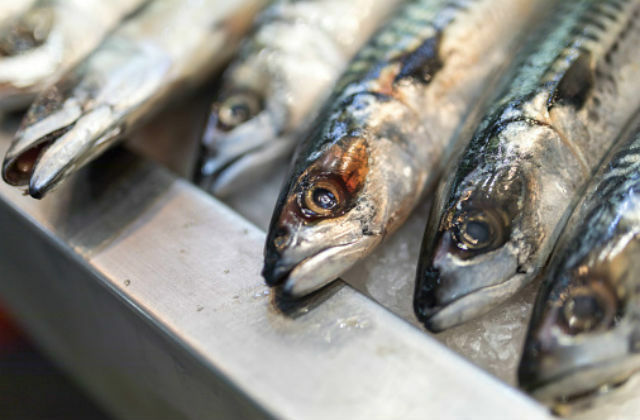 Leaving the EU gives us the opportunity to design a new domestic fishing policy – one which is the best interests of all sections of the fishing fleet and which allows our industry to thrive. Coverage in today’s Mail follows up Monday’s article in the Times reporting concerns about a proposed ban on shock collars for dog and cats. Our call for evidence on banning use of shock collars is still open so have your say on our online consultation.